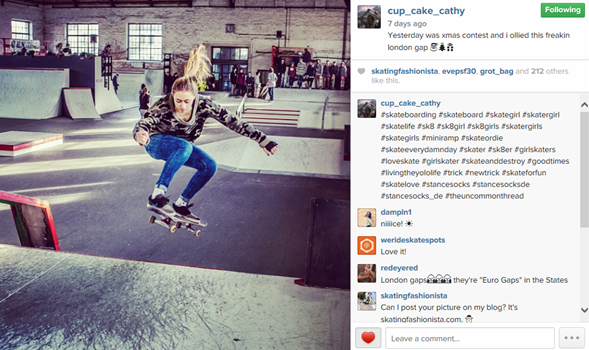 Skating is global and ageless – check out Emily in the UK. She’s a lucky girl to have a daddy supporting her but the skating is all her watch the video to see her shred. You can check her out on the vert ramp too! Emily really has so many awesome shots on her Instagram it was hard to pick just one – in the end I went with Hello Kitty one of my all time favorite fashionistas. Cup_Cake_Cathy celebrated Christmas with this Ollie. Whether it’s a London Gap or Euro Gap it’s definitely worth checking her skating on IG. Stylish shredders are all over the world – where will the next skating fashionista be from? 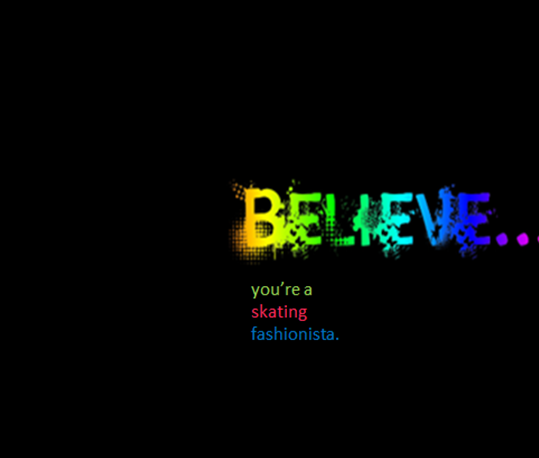 Maybe no one’s told you – skate boarding isn’t scary – it’s sport and art – it will teach you balance on & off the board – all you have to do is believe & do! 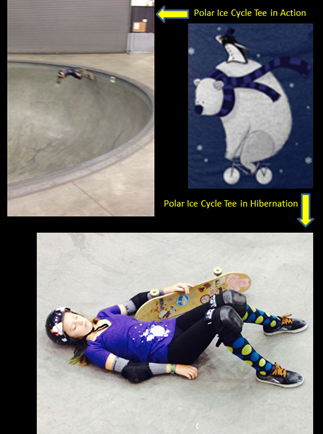 Happy Holidays – see you at the skate park! I’ve been good all year. Well, I’ve been good most of the year. Ok I’ve definitely been more good than bad this year. I really hope Santa brings me skate shoes – size 7 boys in case the elves lost that information. If for some reason he doesn’t bring skate shoes may he at least bring decent duct tape? Skating fashionistas if you get shoes for Christmas please send me pictures of them in action. This really will work, we just need to find each other and encourage other girls to join us. Eventually they’ll be so many skater girls; we’ll be able to negotiate shoe discounts. Love this picture of Fiona_venture check her out on Instagram. 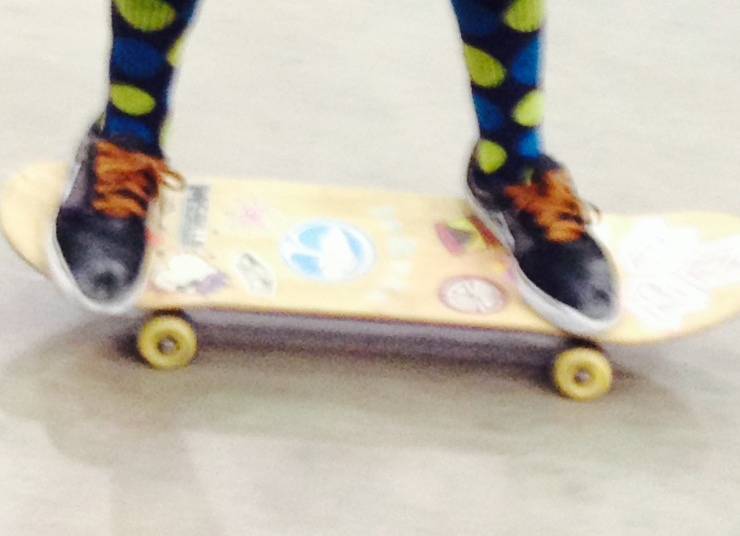 She’s a rolling billboard for skateboarding being fun & fashionable. 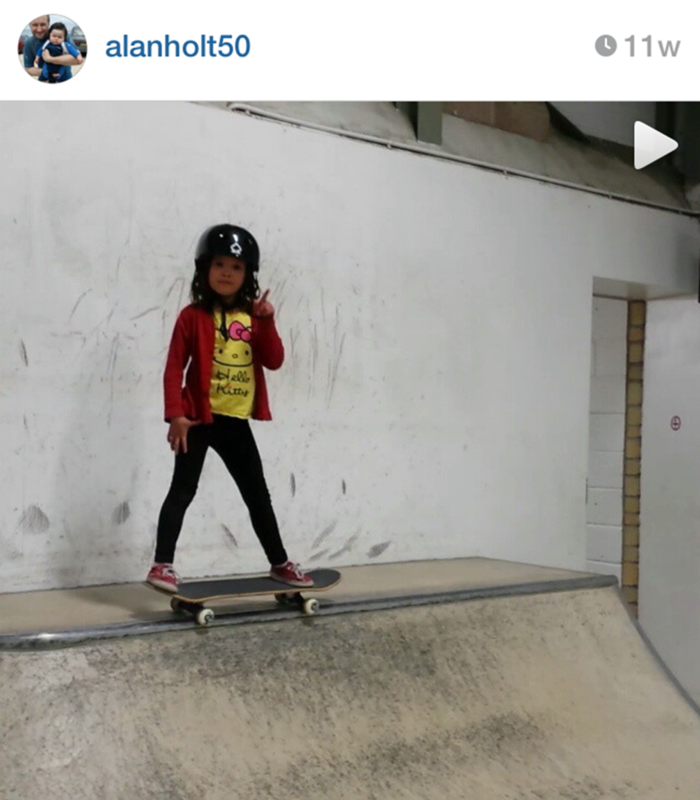 Remember more girls skateboard when they see girls skateboarding so keep shredding and sharing pictures. Yes – totally acceptable to wear your PJ’s skateboarding. 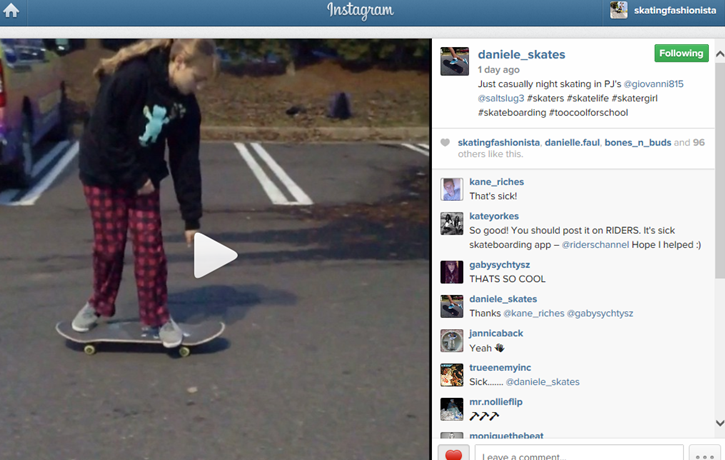 The picture above is from a video by daniele_skates. 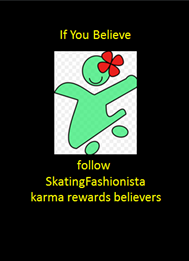 Go check it out on Instagram and please share your pictures & videos of fashionable skateboarding. More girls skateboard when they see girls skateboarding! As an introvert – I’m hesitant to get out there meet new people let alone ask them to follow me. But as a skateboarder on a mission I have to do it. More girls skateboard when they see other girls skateboarding. Plus having a sport helps a girl stay physically & mentally fit. 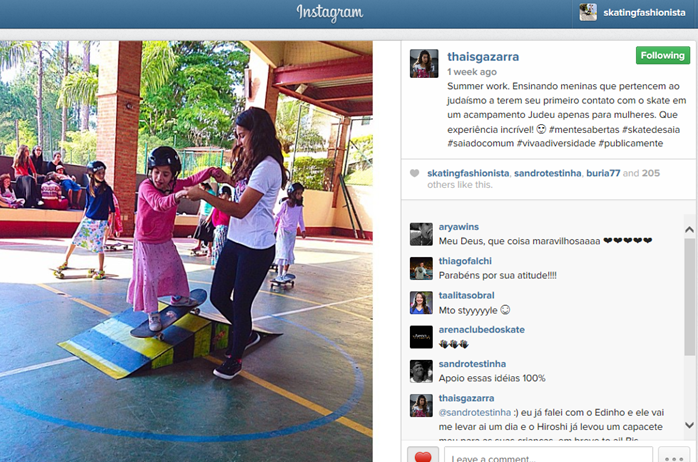 Haters tell me it’s a lost cause – skateboarding is just not for girls – I say it’s only lost if I give up! So follow this introvert here and on Instagram – thanks & Happy Holidays! To get your Polar Ice Cycle or other rad cycle shirts go to Clockwork Gears. This fashionista is a fan of their wonderfully creative gear inspired designs.